Due to his die-hard love for pets, animal behaviorist and canine expert Chris Onthank started on a mission to find solutions too many common pet problems. Fusing technology with his lifelong experience and love for pets, he designed a series of Smart Products for Smart Dogs. When innovation fuses with vision, all that comes out is extraordinary. That’s the exact synonym for Dog Gone Smart Pet Products. Dog Gone Smart is dedicated to its core values – a commitment to the health and well-being of pets, pet owners, and the environment we all share. Whether it’s about pioneering nanotechnology in the world of pet products, or manufacturing functional yet stylish products for dogs, Dog Gone Smart is always up-to-date with the technological advancements. Thus allowing them to produce top notch pet products at affordable prices that not only improves the quality of life for pets but also for their owners. 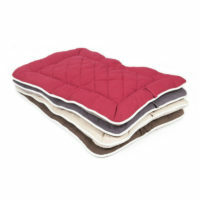 Dog Gone Smart’s award winning product range goes from Repelz-it product line of dog beds and cart pads to all the way to their super-sponge Dirty Dog Doormat. 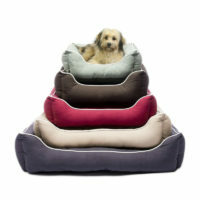 They also got a product line of NINJA Bed for the tough chewers. Their outerwear line offers wide range of cloths and appeals to keep your pet fashionable and stylish. 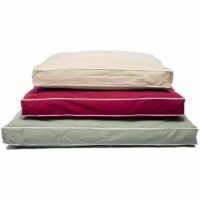 Dog Gone Smart are the leaders in antibacterial materials for dog beds and cart pads. They bring Repelz-it Nanotechnology at an affordable price without diminishing the look and feel of their products. The Repelz-it fabric are highly abrasion resistant that prevents liquids, dirt, and natural oil in your pet’s coat from sticking to it while keeping the fabric functional over the years. Also, the fabric is free from any harmful chemicals like PFOA (PerFluoroOctanoic Acid) and PFOS (PerFluoroOctane Sulphonate) that does not cause any environment degradation in the process and also safe to the end user. All the products from Dog Gone Smart are machine washable and the bed covers of the dog beds are smell-proof and water-proof. 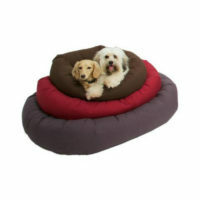 The everyday dog bed is made from soft cotton material, meaning that dog beds not only feel nicer for the dog, but they look better as well. The Repelz-it nanotechnology keeps the pet beds clean, it’s 100% pet safe, keeping a happy, healthy household.